The Croatian Competition Agency (CCA) received on 26 November 2018 the writing of the undertaking A1 Hrvatska d.o.o. that was under the legal interpretation of the Croatian Constitutional Court considered as an initiative for compatibility assessment of the concentration between Hrvatski Telekom d.d. and HP Produkcija d.o.o. with regard to EVO TV broadcasting business. Namely, under the Framework agreement and the Purchase agreement of 27 November 2018 HT acquired a 100 per cent share capital in the company HP Produkcija and thereby took over the broadcasting business EVO TV and so created a concentration between undertakings within the meaning of Competition Act. However, the criteria for the initiation of the compatibility assessment proceeding in this particular case have not been satisfied, neither in the sense of Article 17 paragraph 1 of the Competition Act, nor in the sense of any other specific rules that would make the notification obligatory. 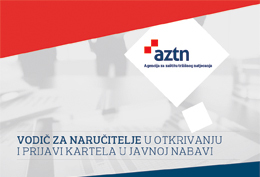 the total turnover of each of at least two parties to the concentration realized in the national market of the Republic of Croatia, amounts to at least HRK 100 million in the financial year preceding the concentration and in compliance with financial statements. Where the concentration consists of the acquisition of a part or parts of one or more undertakings, whether or not constituted as legal entities, the calculation of the turnover includes only the turnover relating to the parts which are the subject of the concentration. After having examined the data collected in the preliminary market investigation the CCA found that the criteria under Article 17 paragraph 1 of the Competition Act have not been cumulatively met, i.e. neither the aggregate turnover of HP Produkcija nor the turnover within the group (HP and HP Produkcija) in the Croatian market regarding the provision of EVO TV broadcasting services did meet the second turnover criterion in the minimum amount of 100 million Kuna. Given the fact that the second criterion relating to the threshold of the undertakings concerned necessary for the obligation to notify a merger has not been met the CCA dismissed the initiative of A1 on 4 March 2019. With regard to A1 claims that ex ante regulation in the pay tv services is needed, the CCA referred A1 to the competent specific regulator – Croatian Regulatory Authority for Network Industries (HAKOM).